“A minister in the holy places, in the true tent that the Lord set up, not man” (Heb. 8:2). Today we return to the book of Hebrews and resume our study of chapter 8. Recall that some in the original audience of this epistle considered abandoning the new covenant in favor of the old. The author did not know who all of these people were, and so he wrote to all of them, warning them all against falling away. These warnings were designed to motivate the authentic believers in the audience to pursue assurance and produce evidence of salvation (6:9–12). Though our author may not have known who all of the true believers in his audience were, he was confident that some, if not all of his audience, would persevere in the faith and inherit all of the promises of God (v. 9). These would follow the example of old covenant saints like Abraham and hold fast to God’s promise of salvation and the oath God made to confirm it (vv. 13–18). In the end, they would hold fast to this hope of salvation because it is a hope secured by Jesus, the High Priest in the order of Melchizedek (vv. 19–20). This Jesus, who is far greater than any priest who came before Him, guarantees the salvation of all who trust Him because His indestructible life (7:16) makes Him able to serve as a priest forever (v. 21) and save to the uttermost those who are His (v. 25). The original audience needed to be reminded of Christ’s superiority to the old covenant priesthood and so this theme is further developed in chapter 8. In 8:1, the author reminds His audience that what he is teaching is not vain speculation. The point, he says, is that Jesus is the great High Priest we read about in chapter 7. He is the “one who is seated at the right hand of the throne of the Majesty in heaven.” Christ is the High Priest who is worthy enough to be seated at the right hand of God the Father Almighty. Christ is a minister in “the true tent that the Lord set up, not man” (v. 2). This is a reference to the heavenly temple where Christ does His work of intercession (7:25). The Aaronic priests served in the earthly tabernacle, but Jesus does His work in the true heavenly temple. This is not to say that the earthly temple was not a true place of worship. 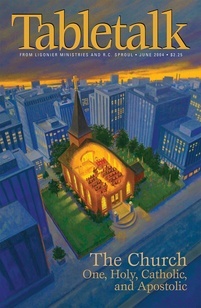 Rather, the author is telling us that the tabernacle of old was only a shadow of the heavenly temple. In Christ, this shadow has given way to the reality of His intercession in the temple of heaven. Many in our day anticipate the rebuilding of an earthly temple just like the one from ancient Israel. This desire, however, neglects the fact that Christ is already ministering in the true heavenly temple. Rejoice that the shadows have passed into reality and that the work in the heavenly temple is accomplished on your behalf.